Happy Wednesday! Today I'm sharing with you how to make your very own magnetic board. Magnetic boards are a great piece to have in offices, kitchens, playrooms or entryways. 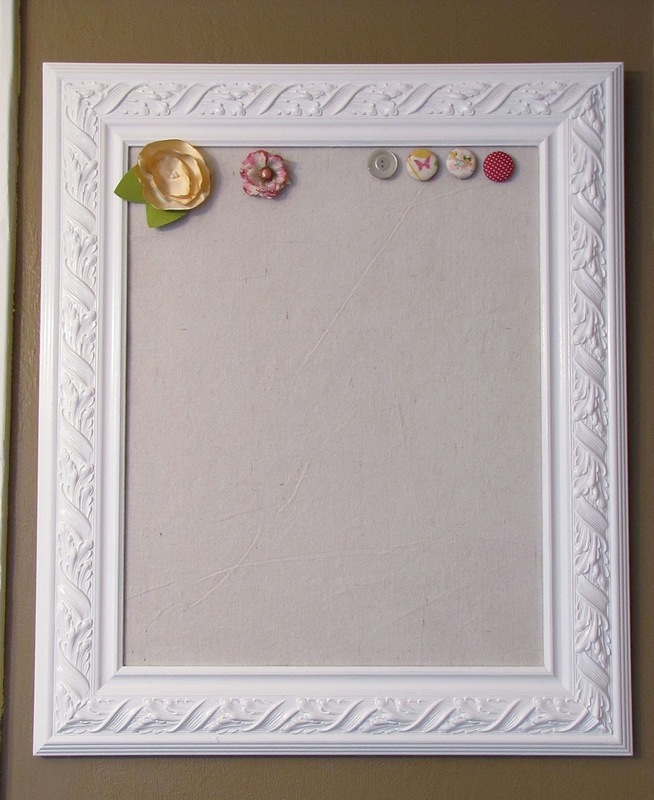 You can use them to display lists, notes, artwork, pictures... you get the idea. And since you are making your own you can customize it to match the size and style you want for your space. 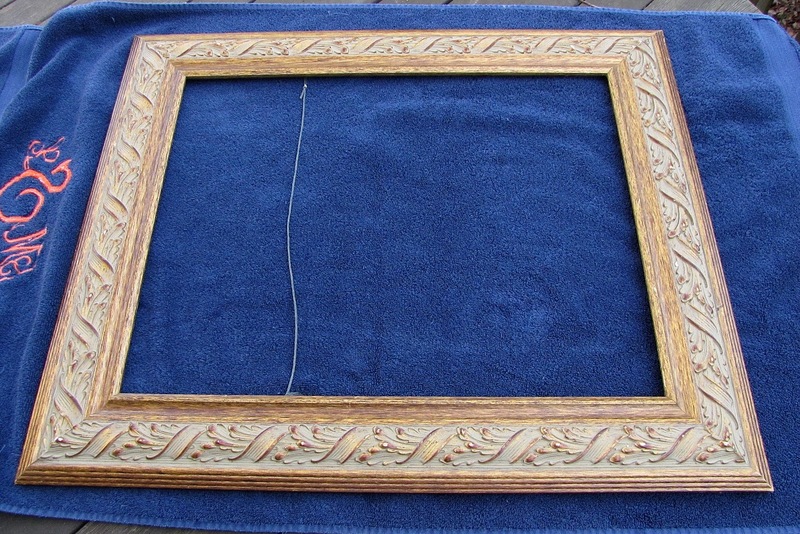 I found this picture frame at Goodwill for just a few dollars. I had already taken it apart at this point but it came with a cardboard picture and glass in the middle also. I cleaned it well with soap and water and dried it with a soft towel. Using a paint brush I gave it several coats of white paint letting it dry between each coat. 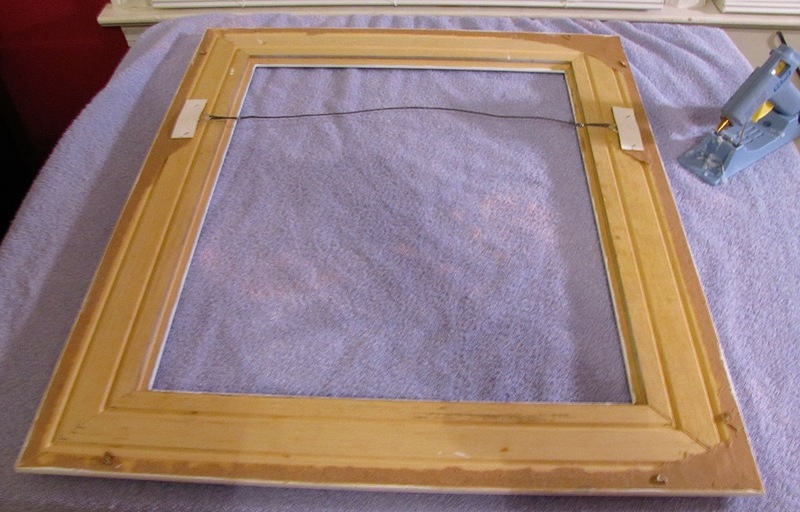 While you're waiting for the frame to dry you can get started on the magnetic insert. 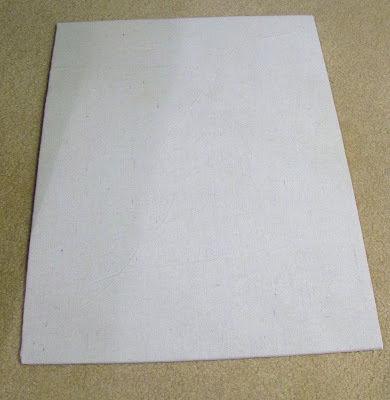 Here is a picture of the sheet metal I used. It's found near the plumbing section at Home Depot for around $10.00. 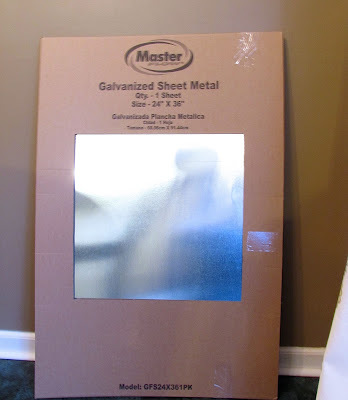 I had a lot left over but you can order a smaller galvanized steel sheet (24.5" x 12.4") if you don't need it to be that big from Amazon. Be very careful when cutting this as it is very sharp around the edges! 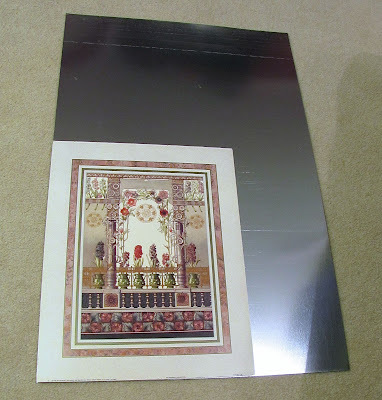 Using the cardboard picture that came with the frame as a guide I cut out a piece of metal the same size as the picture. I hot glued the metal to the back of the picture and then wrapped a piece of canvas fabric around the front. 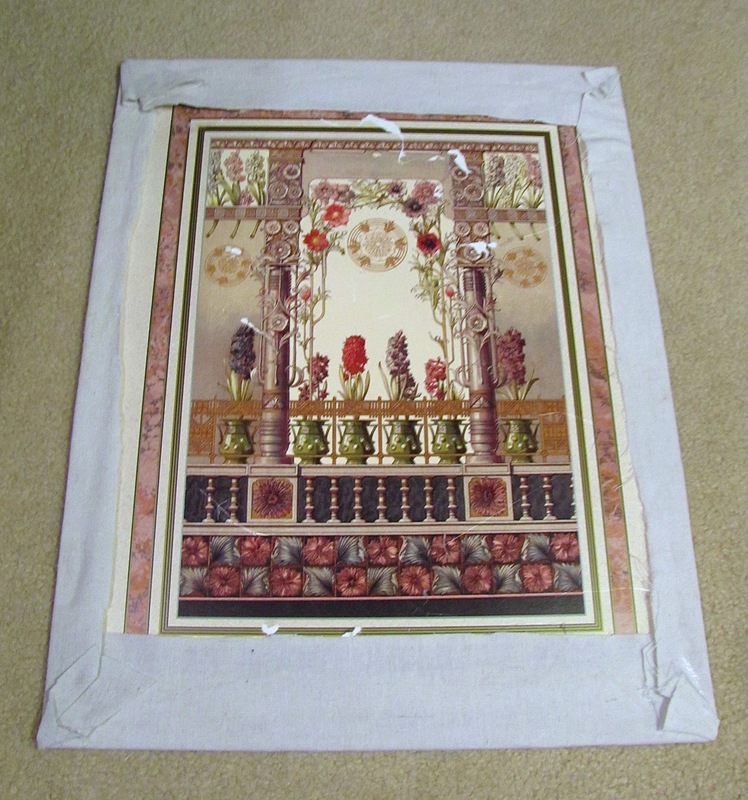 I hot glued the fabric around the edges to the back of the picture. After the frame is dry you can turn it over and put the picture back into the frame. I put hot glue all along the edges of the frame where the insert would sit to secure it in place. 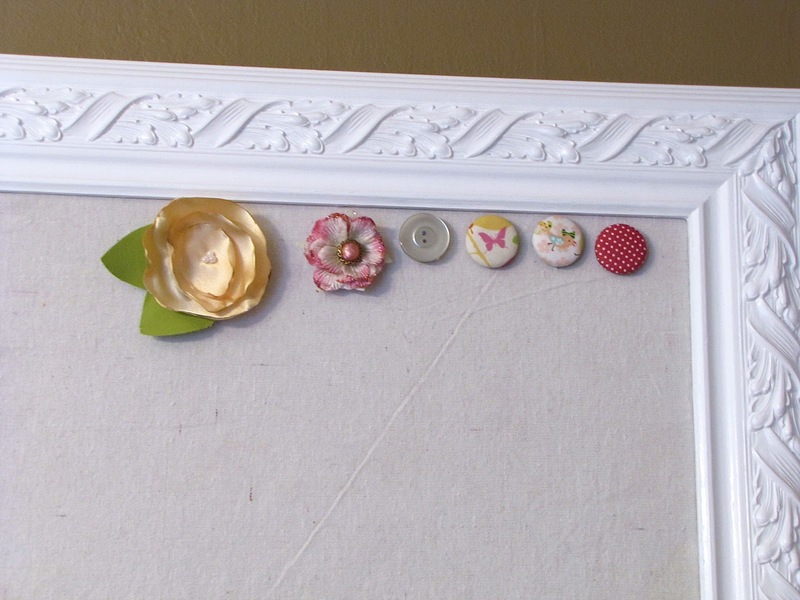 I hot glued some covered buttons and flowers to the front of the magnets to dress them up a bit. And there you have it. A super easy and inexpensive way to make your own magnetic board. 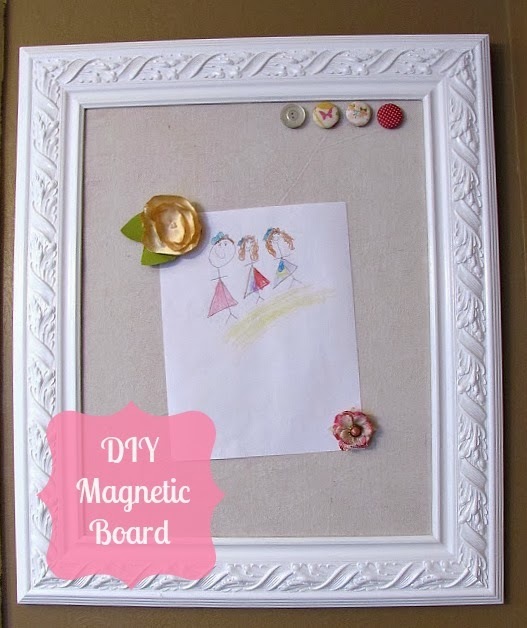 You might also be interested in this DIY magnetic board. very pretty! how did you cut the sheet metal? Thanks Sara! I just used regular scissors. I'm sure there is something better for it but I just used what I had on hand!